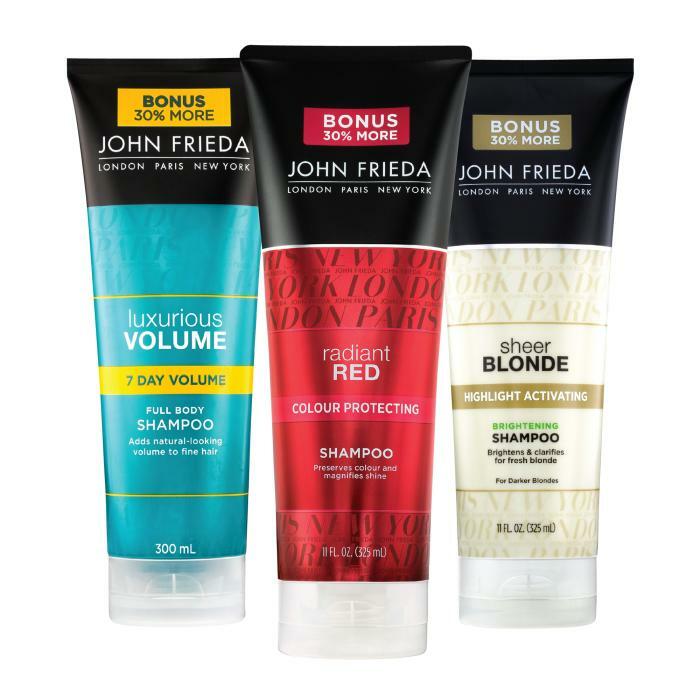 Viva has proudly launched IML Tubes for the John Frieda haircare product series. Through the use of in-mold label printing, the product look has enhanced dramatically and increased shelf impact at retail outlets. Viva Healthcare Packaging is a leading manufacturer of injection-molded tubes with ISO and BRC certified operations in Canada, Hong Kong and Poland. Viva's Injection-Molded Tube offers superior printing and full coverage graphic quality by utilizing state-of-the-art in-mold labeling technology, now patented across 39 countries worldwide. The Viva tube is validated as the most eco-friendly choice in tube packaging, with the lowest environmental impact, and as a uniquely 100% PP (category 5) package it is celebrated as the only fully recyclable tube available. Viva's highly integrated manufacturing systems yield efficiencies that produce consistent high quality with very short leadtimes. When talking about high definition, premium tubes, the name Viva is one that constantly comes up. Viva's IML tubes regularly win some of the top awards in the tube industry and are chosen by some of the top brands in the personal care industry. 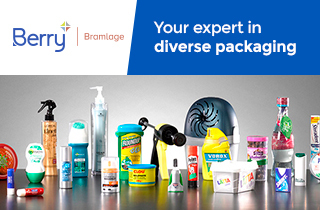 Bruno Lebeault talks to Webpackaging about how the Viva IML Tube has branded itself as a unique technical and graphical proposition, essential for commanding, global brands that want to differentiate themselves through the finest quality shelf impact until the tube is depleted of product. Viva Healthcare Packaging, a leading global injection-molded tube manufacturer, has won the 2015 Ted Klein Tube of the Year for Bliss Just a Little Hint. In addition, the company also won 4 other awards - 3 gold and 1 silver. Viva Healthcare Packaging, a leading global injection-molded tube manufacturer, has won the 2016 WorldStar Packaging Award in the Health and Beauty category for it's a 10 in10sives leave-in conditioner. The Viva tube saves up to 35% emissions for every tube produced compared to other industry tubes. Recycling 1 million Viva tubes conserves the equivalent emissions from an average automobile for 10 years. Viva Healthcare Packaging, a leading global injection-molded tube manufacturer, has won the 2015 NJPEC Innovation Award for the Viva Diamond Hologram Tube. In addition, Viva also won the Silver Award Personal Care for Designworx Fave4 and Bronze Award Personal Care for Pacifica. Viva continues to lead industry innovations with the launch of the truly unique Diamond Hologram Tube. Viva's injection-molding and in-mold labeling process can embed a holographic substrate into the tube's decoration. This gives a truly unique, highly elegant and eye-catching shelf display for any application. This one-of-a-kind flexible tube package is raising the bar for product differentiation. Viva's injection-molding and in-mold labeling process has provided an exciting new look for Mentholatum’s OXY product line. The Viva Injection-molded Tube provides a high level of barrier properties to ensure products containing challenging ingredients such as Salicylic Acid and Benzoyl Peroxide, remain intact and protected. Viva Healthcare Packaging, a leading global injection-molded tube manufacturer, has won the 2015 WorldStar Packaging Award in the Heath and Beauty category Bodycology Blackberry Vanilla. Viva Healthcare Packaging is a leading manufacturer of injection-molded tubes with ISO and GMP certified operations in Canada, Hong Kong, and Poland. Viva Healthcare Packaging, a leading global injection-molded tube manufacturer, has won the 2014 NJPEC Gold Award in Personal Care for its "Pacifica Hand Cream". In addition, Viva also won the 2014 NJPEC Bronze Award in Personal Care for its "It's a 10 Potion 10". Viva, a leading global injection-molded tube manufacturer, has won the 2014 Ameristar Award in the Health & Beauty Aids Category for its Bodycology Blackberry cream tube. The Viva Tube is validated as the most eco-friendly choice in tube packaging, with the lowest environmental impact, and as a uniquely 100% PP package it is celebrated as the only fully recyclable tube available. Viva continues to lead industry innovations, with the launch of the truly unique Dual Chamber Tube. With endless market possibilities, this unique innovation can be used to fill 2 formulations separately in a single traditional tube package. The concept lends itself nicely to personal care, food, cosmetic, and household applications. Viva, a leading global injection-molded tube manufacturer, has won The Tube Council 2013 Ted Klein Tube of the Year Award, the highest award recognized in the tube industry. The company won the award for the Japanese version of Tung Gel. In addition to gaining the industry's highest award, Viva also won a number of other prestigious awards in 2013. Viva has expanded its injection-molded tube making capabilities with several innovations in order to enter into current and emerging market segments. By launching different tube accessories, Viva can offer a superior tube while meeting specific functional needs across key market segments. Since launching the Injection-Molded Tube with in-mold label decoration, Viva has established itself as a major player in the tube market by bringing an innovative tube product to the market that improves the product's appearance with extraordinary graphic capability on the entire surface of the tube. The Viva Injection-molded Tube is made of 100% PP, including the tube body, in-mold label and cap, lending itself to class 5 recycling programs where other industry tubes simply cannot. The Viva Tube is celebrated as the only tube available that is fully recyclable and it raises the bar for a growing eco trend within the packaging industry. Viva Healthcare Packaging, a global tube manufacturer, has recently launched three new products: the Dual Chamber Tube, the Oval Tube, and Tube Accessories. All three lines are unique injection-molded solutions offering customizable shapes and designs. Viva Healthcare Packaging, a global injection-molded tube manufacturer with ISO and GMP certified tube operations in Canada, Hong Kong and Poland, has recently launched tube production in Poland. This is Viva's third tube production location and will serve the European market. The line will strongly reinforce the company's global footprint.